BitGame is a hot new crypto casino offering fair play slots, Blackjack, Videopoker and other games games. Keep reading to find out more. 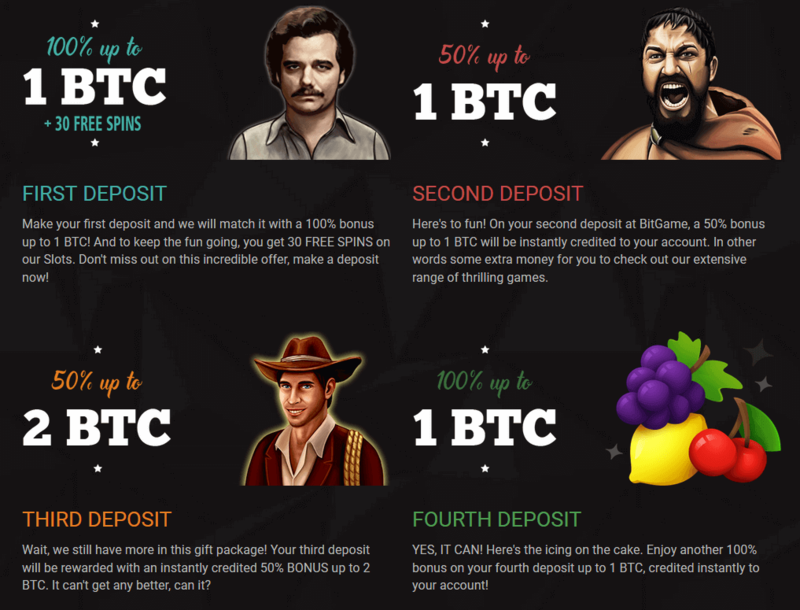 100% Bonus up to 1 BTC + 30 Free Spins on 1st Deposit. On your first deposit of upto 1 Bitcoin or 50 LiteCoin (1BTC/50LTC) you’ll receive a bonus of 100% of that amount in your new account plus 30 Free Spins to play with. Your second deposit of upto 1BTC/50LTC will get you a 50% bonus on that amount. Then in your third deposit of upto 2BTC/100LTC they credit you with another 50% bonus on the deposited amount. Finally, your fourth deposit gets yet another bonus, this time another 100% for any amount you deposit upto 1BTC/50LTC. To claim the bonuses once you register an account and login, go to Settings and click the option to Apply bonus after deposit. Then deposit the desired amount. Your account will be credited instantly and you can keep track of it on their ‘My Bonuses’ page. At BitGame, you can take part in their VIP Program for loyal players, which will provide you with multiple benefits as you play. 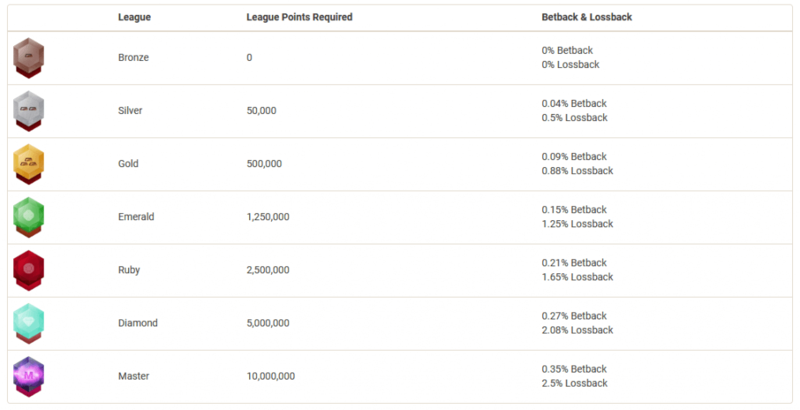 This program is available for all games offered, and as you play you earn points that contribute to which league you are placed in, with each one offering increased benefits. This online casino provides Provably Fair guaranteed games, giving it the credibility needed to prove its security fairness of gameplay. The technology implemented allows for encrypted game data, leaving no room for any human interference or manipulation whatsoever. Your bets will never be tampered with and all players have an equal chance of winning. Bitcoin, LiteCoin, Ethereum and Ethereum Classic, Monero, Dash, Blackcoin, Dogecoin, Stratis, Bitcoin Cash, Peercoin and Play Money. Want more Crypto Casino Reviews? Our list is continuously growing so check back regularly to see what’s new.